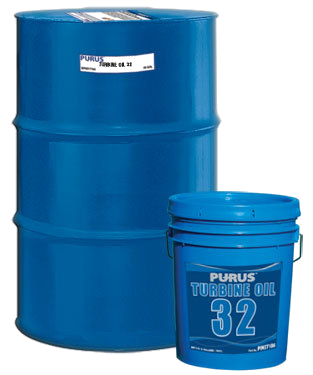 PURUS® Turbine Oils are blended from high quality paraffinic base oils. All viscosity grades are blended with advanced additive chemistry which provides exceptional rust and corrosion protection. This formulation provides total system protection and long service life even under severe operating conditions. 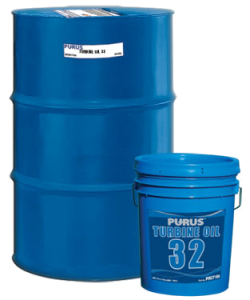 PURUS® Turbine Oils contain an effective anti-foaming agent that prevents the formation of harmful foam in equipment reservoirs while allowing the rapid release of entrained air. These additives also provide resistance to oxidation and the formation of sludge at elevated temperatures and PURUS® Turbine Oils are non-corrosive to silver bearings.